From blockbusters with burgeoning budgets, to cult classics – we’ve had plenty of great movies released this year. We’ve picked out the best of what 2017 has had to offer! Jordan Peele’s directorial debut got people talking early this year, with rave reviews coming in for Get Out. 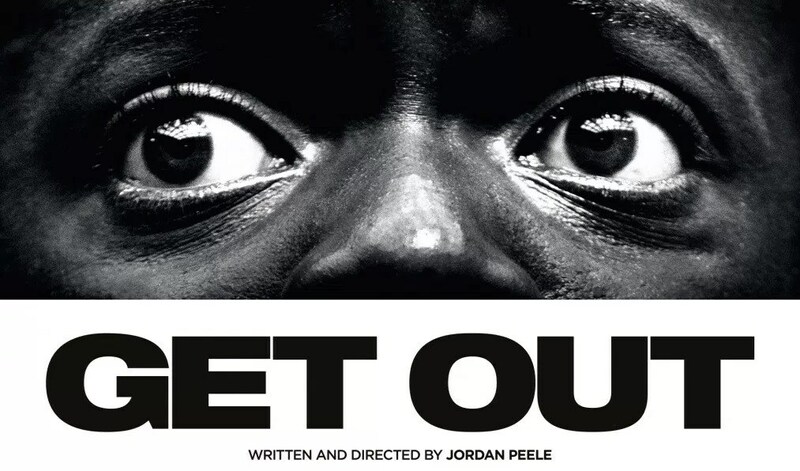 Although made on a £3.37 million budget, Get Out took in over £190 million worldwide. The story looks at the interracial relationship between Rose and Chris – Chris is black, Rose is white. When Chris meets Rose’s family, he can’t help but notice the black servants don’t act normally; and even look familiar. It’s been nominated for Best Motion Picture – Musical or Comedy at the Golden Globes; and Daniel Kaluuya’s portrayal of Chris is nominated for Best Actor – Motion Picture Musical or Comedy. Christopher Nolan recruited an all-star cast for his depiction of Dunkirk in World War II. Actors in the film included Cillian Murphy, Tom Hardy, Kenneth Brannagh and Harry Styles in one of the most beautifully filmed movies of the year. Dunkirk took in more than £393 million at the box office – staggering when compared to the £74.6 million budget. The movie has been praised for the realistic representation of the historical events and is believed to be one of Nolan’s best works. Following up a cult classic 20 years later is a bold move by any director’s standards. But Danny Boyle was ready for the challenge, and knocked it out of the park with the Trainspotting sequel. Boyle brought back Ewan McGregor, Jonny Lee Miller, Ewen Bremner and Robert Carlyle to reprise the roles of Renton, Spud, Sick Boy and Begbie. T2 Trainspotting takes place 20 years on from the infamous drug deal, and there’s no love lost between Sick Boy and Renton. As far as sequels go, this one is outstanding, taking in more than £29 million in the box office. The DC Comics movie broke records for all the right reasons with Wonder Woman this summer. Patty Jenkins became the first female director of a live-action, theatrically released comic book superhero film; telling the tale of Wonder Woman through lead Gal Gadot. Princess Diana – or Wonder Woman to you and I – leaves home to end the conflict of the World War. Taking in £615.6 million at the box office, it’s one of the highest-grossing films of the year, and the fifth highest-grossing superhero film domestically. The sequel is due for release in 2019. Stephen King’s terrifying creation Pennywise came to life this year, in smash-hit horror It. Pennywise the Clown terrorises children in the small town of Derry, awakening every 27 years. Bill Skarsgård’s take on the clown will send a shiver down your spine, and leave you with nightmares. It’s the highest-grossing horror film, and one of the highest-grossing of the year with £523.1 million at the box office. If you weren’t scared enough this time around, Chapter Two is to be released in September 2019. Didn’t get to catch some of the year’s best movies first time around? Get them now at musicMagpie Store, with FREE delivery! ← Home Alone: Where are they now?